The freshened 2017 GT-R is on its way to showrooms. 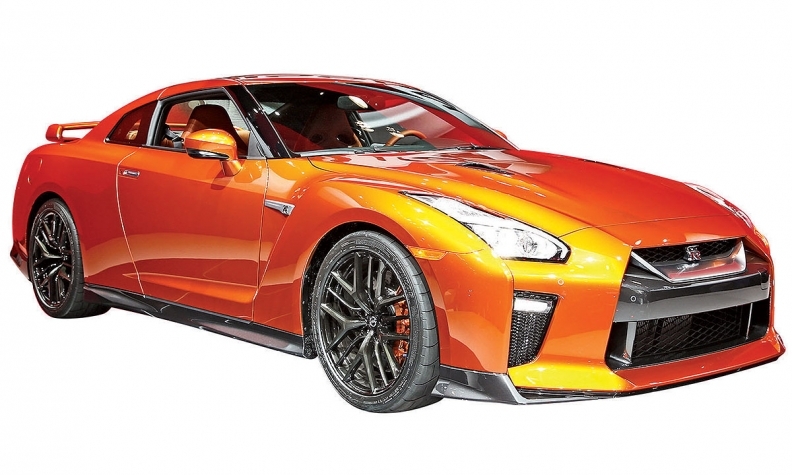 TOKYO -- A substantially freshened 2017 GT-R is on its way to U.S. showrooms, but Nissan designers are already at work on a full redesign for the next-generation GT-R.
Stylists are playing with the car's proportions, partly to improve driving dynamics and aerodynamics, reveals Shiro Nakamura, Nissan's chief creative officer. A top goal will be boosting the twin-turbo's fuel efficiency. GT-R fans shouldn't be surprised if the big redesign even gets an electrified drivetrain to make "Godzilla" greener, he adds. "It's very tough to redesign this car, but we are starting now," Nakamura tells Automotive News. He did not say when the full redesign will appear. Nissan unveiled the 2017 freshen in March at the New York auto show, the biggest face-lift since the sports car's 2007 debut. Changes include restyled body panels and hood, a redesigned front grille and a slightly lowered dash panel to improve driver visibility. Nakamura believes the 9-year-old car holds its age well because it's a singular design, borrowing neither from rivals nor fashions. "To my eye, it still doesn't look old because it's not influenced by anything," he says. "If it tries to capture some trend, it would look dated. "I think we can change to better proportions -- the width, the height," Nakamura says. "Anything that we change on this car will contribute to better performance, better aero." The first step will be developing the layout and packaging, he says. And that will hinge largely on what drivetrain is adopted. Nakamura does not say that the next GT-R definitely will get a hybrid drivetrain, but he says the company must deliver a better-performing sports car that also gets better fuel efficiency. "Electrification is almost inevitable for any car," he reasons. "If the next-generation GT-R has some electrification, nobody would be surprised at that time."